Further tributes were paid to Danny Fiszman yesterday, as the club named one of the bridges leading from Drayton Park Road to the stadium complex in his name. The south bridge with the huge letters spelling out Arsenal at one end is now known as the Danny Fiszman bridge. The same honour was also bestowed on fellow director Ken Friar, who alongside Mr Fiszman worked tirelessly on the new stadium project. His name is now dedicated to the north bridge, closest to the Arsenal tube station. The ceremony went ahead yesterday after Mr Fiszman's passing on Wednesday. He said the event should take place and members of his family were there to witness the honour his fellow board members bestowed on him and Mr Friar. The official site have a picture gallery of Mr Fiszman - which shows you just how much of a Gooner he was. Another fitting tribute to him was made by his friend and fellow director Ken Friar. Arsenal really do things the right way and this week has shown me that the club I love continues to be a class act. The gathering at the Grove yesterday also saw majority shareholder Stan Kroenke attend proceedings. He was pictured in discussion with Arsene Wenger later in the directors lounge. 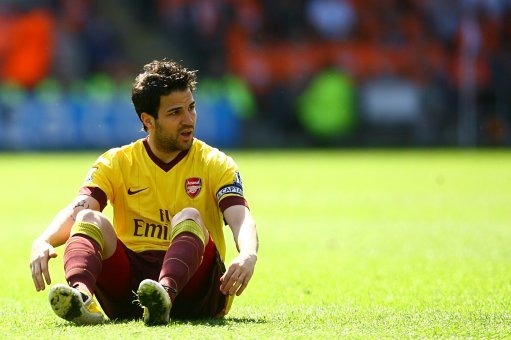 The Sun have come to the conclusion from the pictures that Wenger wants to sit down with Kroenke to discuss the future of Cesc Fabregas and wants assurances from the American that the Spaniard won't be sold this summer. I think there are two things Mr Kroenke will have to do if he wants to please fans straight away. He'll want to ensure that rises season ticket prices are kept to a minimum and that none of our players are sold against the will of the manager. Arsene Wenger has pledged to keep his eye on the ball and fight until the end of the season for the league title. "My focus will be on ensuring the team has a successful run in to the end to the season. We have a lot to play for." The next two games are massive. If we win both of them, I really believe we are in with a chance, despite what happened against West Brom, Sunderland and Blackburn. The early team news for Sunday is mostly positive. Arsene Wenger gave fitness tests to Wojciech Szczesny, Johan Djourou and Alex Song at the training ground yesterday and that will have a huge baring on whether all three are involved. My guess is that they will be. One player who is still giving the boss concern is Bacray Sagna. He picked up a knee injury - I don't know where from - and is a major doubt. Manuel Almunia's knee injury is also a problem which could mean he's not available for the weekend's match. Denilson might be back in the squad following his toe injury and the manager said Thomas Vermaelen's return to training with the first team squad only happened this week and he's still not match fit. Wenger said he has to be patient with the defender but did not rule out using him before the end of the season. Last night the blog Arsenal Insider published mock ups of what they believe the home and away kits will be next season. Pictures of the home kit have been around on the web for some time, but the image of the away strip they've posted is truly shocking. If that is indeed the away kit for next season, you can be assured that I will not be wearing it. It is hideous. Apart from being blue - Arsenal's away shirts should be yellow/gold - it is exactly how Andrey Arshavin has described it - a horse racing jockey's uniform. I know the accountants at Nike say blue kits outsell yellow ones, but won't be the case with this one. I just hope the guys at Insider have got it wrong and it's a training shirt but I fear it is indeed next season's away shirt.